We all scream for Ice Cream. 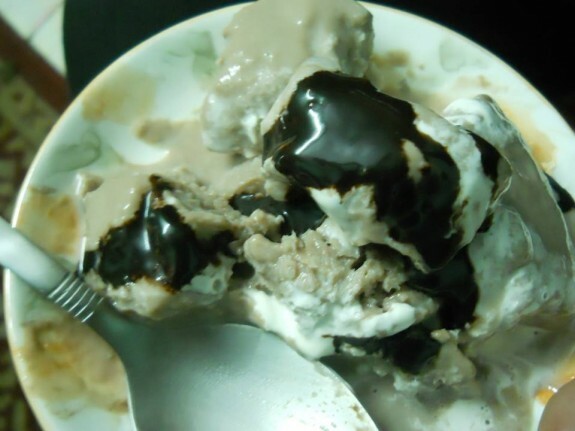 Chocolate Ice cream is one of the most favourite flavors for all. Find the steps of making chocolate Ice Cream at home without the Ice-Cream maker. 1. Mix custard, sugar and cocoa in a half cup of milk. 2. Now heat the rest of the milk. When the milk comes to a boil, add the above custard mixture and bring it to boil. Stir it continuously. 3. When it boils, lower the heat and cook it for 1-2 minutes more and then remove it from heat. 4. When it comes to the room temperature, mix the vanilla essence and the cream on the mixture and mix it properly. 5. Transfer it to a container tightly with lid. 6. Freeze it until it almost set. Whip the mixture in a blender and again place back to freezer in the same container. 7. If needed blend once more when almost set up and again out back to freezer. 8. After last blending, you can cool it to normal of 2 hours. 9. Garnish it with liquid chocolate.